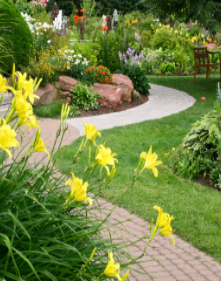 Novation Landscapes & Irrigation offers landscape design and maintenance for commerical and residential properties in the Tyler, TX and East Texas area. We provide superior service to our customers and have assisted them in achieving their home improvment goals. We are well known for our woodwork, and outdoor kitchen design. We design and install pretty much anything that you want done to the outside of your house. Regularly scheduled mowing, trimming and upkeep of your premises is our specialty. Novation provides weekly, bi-weekly, and monthly lawn mowing, yard maintenance, and tree and shrub trimming services.You can count on to do ir right the first time and every time. Contact Novation Landscape & Irrigation today at 903-363-5344 to see exactly what separates us from the rest of the competition. Or, browse our website for more information about Irrigation Systems or Photo Gallery.